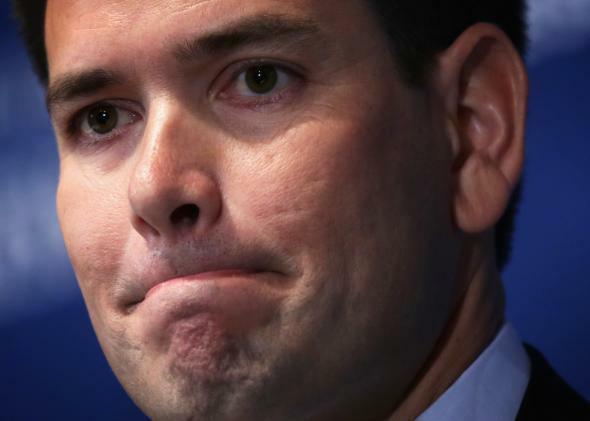 Cuba announcement: Marco Rubio leads chorus opposing Obama's diplomatic thaw with Cuba. Cuban-American Republicans in Congress are not pleased with the president’s move to start normalizing relations with the island nation. Florida Republican Sen. Marco Rubio said in a statement that the president’s move is “inexplicable” and that he plans to use his perch next Congress as chair of the Senate Foreign Relations subcommittee on the Western Hemisphere to try to block the president’s move. “President Obama’s decision to allow the Castro regime to blackmail the United States and abandon our pro-democracy principles is an outrage,” he said in a statement. Rep. Ileana Ros-Lehtinen, a Florida Republican, was born in Havana. Her family fled the Castro regime when she was 8 years old, and she’s been an outspoken critic of the current regime there. She issued a statement on Wednesday morning saying the president’s move to exchange three Cuban spies for American prisoner Alan Gross is a national security threat. “This misguided action by President Obama will embolden the Castro regime to continue its illicit activities, trample on fundamental freedoms, and disregard democratic principles,” she said of the president’s push. Among the Hill’s Cuban-Americans, there’s bipartisan opposition to the president’s move. Sen. Bob Menendez, a New Jersey Democrat whose parents immigrated to the U.S. from Cuba, leveled biting criticism at the president. “President Obama’s actions have vindicated the brutal behavior of the Cuban government,” he said in his statement.